Fishing is a great hobby, and it is practiced for thousands of years. If you like to fish, you need fishing gear, and most importantly, you need a good fishing rod. There are many types of fishing, and there are many types of fishing rods. We have gathered information about them, and we did reviews on the best fishing rods for your money. 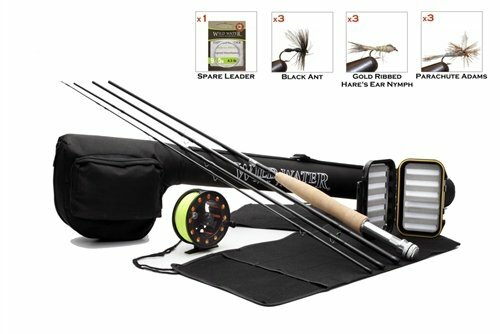 Instead of spending an enormous amount of cash on fishing rods, you can get a quality rod for a lower price and the various fishing techniques you can use to catch fish. Before you decide to buy a fishing rod, you need to consider a couple of very important factors. First is the quality of the fishing rod. You need to see which types of material the components are made of, the kind of fishing reel you want to use and if it fits on a particular rod, and the ergonomics of the rod. Then, you have to think about the purpose of your fishing rod. You need the right tool to get the fish you want out of the water. People often make a mistake of thinking that rods don't make a big difference when it comes to fishing. Buying a low-quality rod will cause problems like snags and backlashes. They also break a lot easier than quality rods. Think about the type of fish you want, the time of the year you want to fish, the location you will fish at, and if you are fishing from a boat or the bank. Choose a quality rod that will help you catch easier because good equipment makes a big difference. You need to be prepared to be a successful fisherman. Having a good fishing rod can spare you from headaches. A lot of things can go wrong when you are fishing with a bad rod in the middle of nowhere without an extra. Cheap rods often break, or the line gets snagged, so you spend more time untangling the lines than you actually fish. Choosing the best fishing rod can seem like a tough task with so many types and sizes available, so you have to do a bit of research before you make your choice. First of all, don't be cheap. There are many benefits of using a good fishing rod. The most obvious one is the fact that good rods will help you catch fish a lot easier. You won't have to worry about backlashes and your rod breaking. Quality fishing rods also have a higher sensitivity which means that you will sense when a fish hooks to your line. You will feel vibrations through the rod so you can react immediately. Bad rods are often stiff, so you don't know when the fish is biting. Good fishing rods are made out of strong materials that prevent it from bending and breaking. The fishing reel is important too. Quality fishing reels are hard to break, and they are much easier to use. Instead of battling a fish for half an hour, you can reel it in much faster. A professional fisherman always uses the best rods and equipment, and that is a big part of their success. If you are a beginner, you don't need the most expensive rod, but you can treat yourself with the best fishing rod that fits in your budget, and you will catch fish without having to worry about your rod giving up on you. You have to put some things into consideration before you buy a fishing rod. There are four factors of fishing you have to think about before making a decision. Most people fish in the oceans, rivers, and lakes that are located close to their homes. Do some research about the fish that live in your area before you head out to fish. Finding out the types of fish that live in the waters you want to fish in is crucial for your success. Master fishing one kind of fish first and you will become better with other kinds as time goes on. Learn details about the fish you are targeting because you will have more luck fishing. 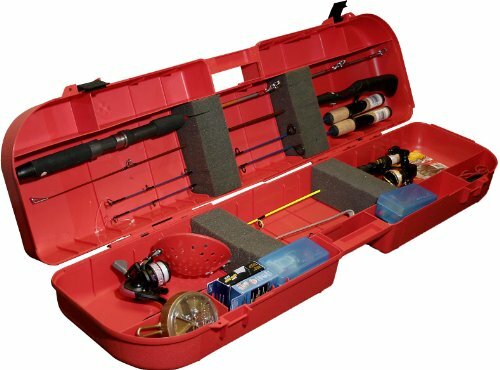 Understanding the different types of fishing tools will help you make your choice easier. Much of it depends on the kind of fishing you want to do. If you want to target larger fish, you will need a baitcaster reel that is specialized for large fish. Do you want a shorter or a longer rod? Long rods will let you cast the light much further, while short rods help you reel in big fish easier than others. Choosing a fishing rod depends on the way you fish. For example. If you fish from the beach (also known as surf fishing), you need a rod meant for that. Also, fishing freshwater demands entirely different equipment than fishing in the ocean. Saltwater fishing requires equipment that is corrosion resistant. If you use freshwater equipment, the chances are it's going to get severely damaged. As a beginner, think about the time you want to invest in fishing. If you want to fish often, start with a medium cost rod and work your way to advanced equipment from there. Get a rod that's flexible, but not too flexible. If you won't be fishing a lot, a low-cost rod is a good choice. Since there are so many types of fishing rods and other equipment, we have done the research looking for the most popular fishing rod types. We have used the most popular brands and fishing rod types and did reviews of the best we could find. Below is the list of the rod's we checked out. Spinning rods are one of the most common types of fishing rods you'll find. Spinning rods are set up so that the reel is mounted under the rod. These rods will also have larger guides closer to the reel. This is important as it allows the coils that emerge from the reel to encounter less drag. Smaller spinning rods are also better suited to casting smaller lightweight lures. This is in contrast to baitcasting rods and reels that are meant to usually cast lures weighing at least 1/8th of an ounce. This doesn't mean that spinning rods can't cast heavy baits and lures. Many saltwater applications such as surf fishing for example are usually ideal for spinning rods and reels. As you can see, spinning outfits are very versatile and make a great beginners setup. Check our guide featuring the best spinning rods. Fly fishing is the method of fishing where you use an artificial "fly" to catch fish. To cast the fly, you need a fly rod and a fly reel, as well as a specialized fishing line. Fly fishing requires some skills and there are a couple of techniques you can use to cast the bait. Fly fishing can be done in salt and fresh water. Rods used for fly fishing can be different in length and the materials that they are made out of. Traditionally, fly fishing rods are made out of bamboo, while the best fly fishing rods are made from fiberglass or carbon fiber. Surf fishing is the type of fishing where the fisherman stands on the shoreline. It includes all types of shore fishing, from rocky beaches, to fishing piers. There are two types of surf fishing: surfcasting and beachcasting. Surf fishing is done mostly in saltwater. Surf rods have long grip handles, and they are generally very long (between 10 and 14 feet). You will need both hands to cast the bait into the water. These rods have to be long to be able to cast the bait beyond the breaking surf because that is where the fish tend to congregate. They also have to be sturdy to cast heavy lures needed for this type of fishing. It takes some time to master techniques needed for surf fishing because of the weight and the length of the fishing rods. Read more to learn about the best surf fishing rods we could find. Ice fishing is the practice of catching fish through holes made in the ice of lakes and rivers with hooks or spears, while modern ice fishing methods are much more efficient. Today, fisherman often use sonar units to locate the fish, and they use short spinning rods to catch them. Rods that are used for ice fishing are very short (between 24 and 36 inches). Classic rods are made out of simple pieces of wood with a carved handle. Since the fishing is done through a small hole in the ice, there is no need for the rods to be extended and flexible. However, they have to be very strong, and that is the reason why modern ice rods are made out of carbon fiber and other sturdy materials. We tested the best ice fishing rods and wrote reviews on them. Catfishing is the type of fishing where you catch catfish. These type of fish are not very smart, but they are strong, and they always hide in sunken tree trunks and behind rocks on the bottom of the river. Catfish rods are a specialized type of rod that are strong enough to reel in catfish that can grow to huge sizes. The rods used for catfishing have to perform under a lot of stress and abuse, and they also have to be light enough to catch smaller fish too. Buying a rod that says catfish on it is not enough because many of them are just too big and heavy for effective fishing. Catfishing is the trickiest type of fishing because of where the fish are located. We tried the best catfishing rod brands hoping to give you more information on their performance. When you finally make up your mind and when you decide to get your fishing rod, keep in mind that there are many brands and models to choose from. Here you can find a list of the best fishing rods and brands available on the market. St. Cro﻿﻿i﻿﻿x is a company that makes quality fishing rods. It is located in Park Falls, Wisconsin. The first fishing pole that came out of the company was made in 1948, and they have been working hard to become one of the top fishing rod producers. St. Croix has spent many years developing technology that makes fishing easier and more efficient. As such, they patented many products and made vast improvements in fishing. Rod designers and engineers work together on every project to ensure that the product has no flaws and that it works as it should. St. Croix is responsible for IPC and ART technology, and they have also perfected TET and the Fortified Resin System (FRS). Products that come out of their factory are reliable, sturdy and they always perform as promised. Among their most popular rods are the St. Croix Triumph Spinning Rods. Spinning rods or spin casting rods are designed to hold a spin casting reel that is mounted on the handle. Most fishing rods belong to this category. 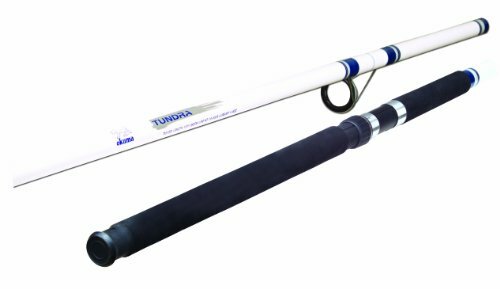 One of the best spinning rod models from St. Croix is the Triumph Rod. 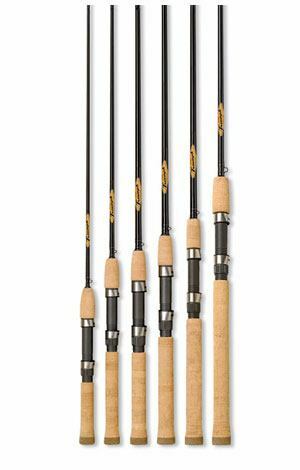 St. Croix is known as one of the best fishing rod manufacturers and Triumph is one of their most popular models. One of its main benefits is the fact that they are relatively cheap, but they are also made to last. Triumph rods are fast action, and they are strong and sturdy. The company has combined all the important fishing rod features into this model because it's sensitive enough to feel when the fish bites and setting the hook up is also easy and straightforward. All Triumph rods are made with premium SCII graphite, and the actions and tapers are fine-tuned for maximum performance. The guides are made out of hard aluminum oxide, and the handles are crafted out of high-grade premium cork. St. Croix is so confident in the quality of the Triumph rods that they give away a five-year warranty with every unit. The bottom line is that these spinning rods are always a safe bet. Sage Fly Rods were founded back in 1980 by the legendary rod designer Don Green. The company is located in Bainbridge, Island, Wash. The company was created with the goal to build the best fishing rods in the world using only high-end materials. Sage originally had only six employees and a very limited manufacturing space, but today, they have 175 employees and a factory that is 30,000 square feet. Don was a skilled angler and rod designer before Sage was created. He realized that some fishing rods run out of "power" meaning that they lose their flexibility and power with time. He developed a new line of fly rods named Reserved Power which enable the angler to cast the fly over long distances, even in windy conditions. Ther first model was released in 1982, and it made a huge success. Sage has been perfecting their technology ever since. The Sage One rod was designed to be effective and accurate in all conditions which make it one of the best all-around fly fishing rods on the market. If you find yourself on a fishing trip during a rainy storm, high winds, or light snow, the Sage one is probably the best option. The best phrase that describes the One rod is "game changing." The casting accuracy of the rod is amazing, even in strong wind, even though it's really light. The Sage One rod is famous for its fast action and the ability to hit the sweet spot with ease. It is one of the most versatile rods on the market which makes it great for beginners and experienced anglers alike. Every single rod that comes out of the factory is handmade and well-balanced which puts this model at the very top of the fishing rod market. The Sage One is not only build to last in freshwater; but it can also be used in saltwater as well. It is made out of the best materials that can't corrode in salt water, and that is one of the reasons why this rod is so popular. 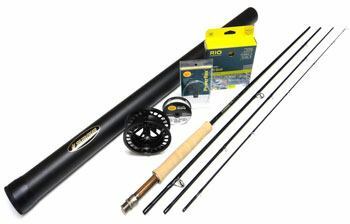 Shimano is a well-known company that produces all kinds of products, including fishing rods. The company was founded in 1921 by a Japanese visionary Shozabura Shimano. His only goal was to make premium products that will be the best of their kind in the world. The Shimano company has worked hard to perfect their products, and that goes to their fishing rods as well. In fact, the Shimano brand is one of the best fishing rod brands. The company has perfected their products over time, always adding new features to improve their performance and using the best materials to craft them. Anglers from around the world have put their trust in Shimano fishing rods for decades now, which speaks of the quality of their products. Shozabura Shimano once said, "I aim to make Shimano’s products the best in Kansai, then the best in Japan, and finally the best in the world. ", and that is exactly what he did. 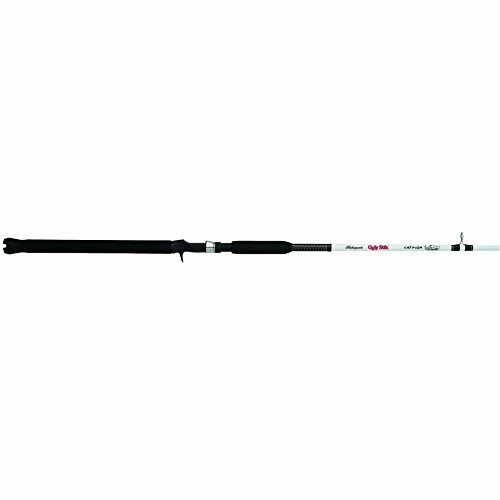 Shimano has created a wide range of different fishing rods and one of their most popular and demanded series is the Shimano Solora 2 Piece Spinning Rod. This rod is crafted with a durable aeroglass rod blank and a solid locking graphite reel seat. The guides are made out of reinforced aluminum oxide, and the handles are made out of high-quality cork to provide the maximum comfort. The designers at Shimano are aware of the fact that ergonomics are very important when it comes to fishing rods. 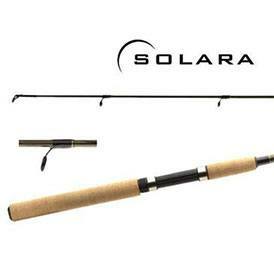 Solora rods are a great choice for beginner anglers that want to perfect their skills. They are built to last, and you can always count on them to work. Shimano Solora provides medium power and fast action. The lower half of the rod fits into the upper half which allows you to carry it with you without any problems. Casting is super easy, and the rod can be used in both saltwater and freshwater areas. The Shimano Solora rod is meant for small and medium fish that weigh up to 20 pounds, so keep that in mind if you want to catch big fish. Overall, this is a very reliable and durable fishing rod. The company got its name from a lake located in Washington State. Their only goal was to make high-quality performance rods from the very beginning. It was founded by a group of fishing enthusiasts that wanted to create the ultimate fishing rod. Fenwick has held strong, and it is one of the legendary names in fishing. Graphite fishing rods are common to see these days, and they were invented by Fenwick in the seventies. This company had some patents that became the standard for professional fishing. The company has even developed fishing rods that redefined bass fishing because they needed new techniques to use. Today, Fenwick is standing strong, and their engineers and designers are always looking for ways to improve fishing equipment. They manufacture specialized rods for all types of fishing and fishing techniques. Fenwick is an excellent choice because it's good for beginners and veterans alike. 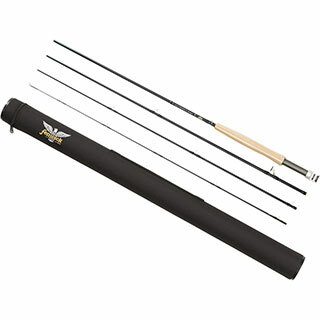 One of the most popular rods from Fenwick is the Fenwick AETOS Fly Rod used for fly fishing. It is designed for high-performance fast action fishing. The rod has a couple of awesome features that makes it a really good choice for fly fishing for beginners. The rod has large diameter gunsmoke stripper guides, and it features double foot gunsmoke snake guides. The rear seat is made out of anodized Aluminum which makes it very durable and resistant to corrosion. The rod is made out of quality grade material that can withstand saltwater as well as freshwater fishing. Every rod comes with a carrying bag, and they feature fast recovering high-performance modern tapers that were crafted to feel light and sturdy. The secret to the success of this model lays in the fact that it is perfect for any location. You can easily fit it in the bag and take it anywhere you want. The rod was created to provide high performance. It works way better than the price range it belongs to. The Fenwick AETOS Fly Rod is probably the best fly fishing rod you will find on the market, and it is fairly cheap. Overall, this is an excellent rod.